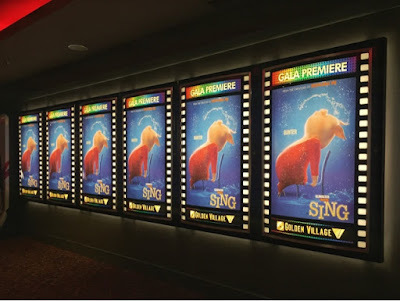 Just caught the animation, Sing last evening with the whole family and it was a blast. The kiddos enjoyed the movie much, and it was full of funny moments and incredible vocals! Even I felt like going to the karaoke after the show, but alas, there was no one to indulge me! Yay! The family won an Instagram contest during the Gala Premiere! It is another awesome movie from Illumination Entertainment, the creators of Despicable Me and The Secret Life of Pets franchises. 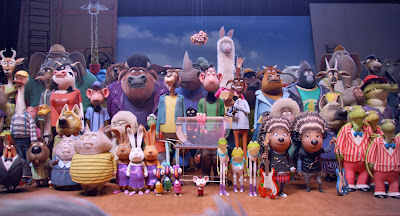 So in a sense, that was quality assured, and then double confirmed with the voice over by big names such as Matthew McConaughey, Reese Witherspoon, Seth MacFarlane and Scarlett Johansson just to name a few. It may be absurd to picture the animals leading human lives and we may laugh at the funny scenes too. 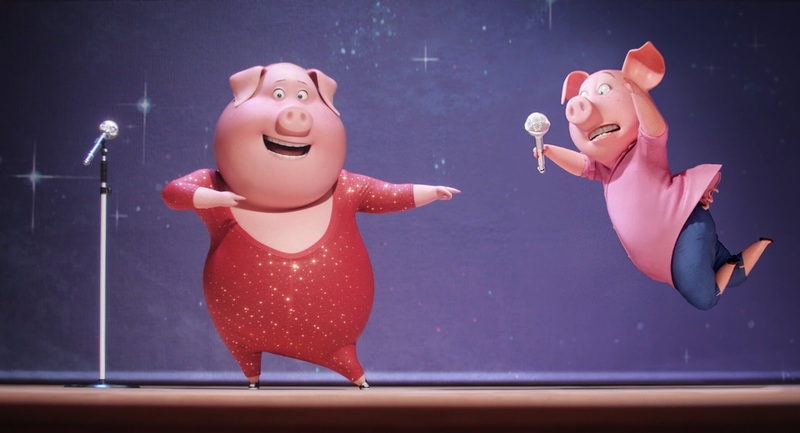 But the characters are really depicting you and I. Think about Rosita the Pig (Reese Witherspoon), a housewife who manages the household really well but harbors the secret desire to sing and perform? Not easy, because she has got 25 piglets to take care of! I am sure many moms out there sacrifice a lot for their children as well, suppressing their inner desires too. 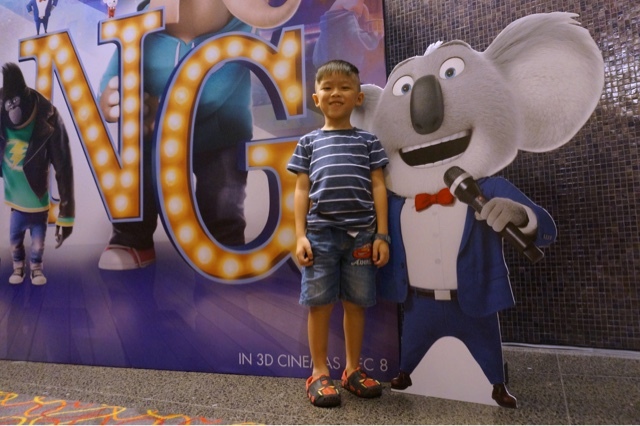 And there are many Meena the Elephant (Tori Kelly) around too, who have hidden talent waiting to be discovered, if only they can get over their own insecurities and stage fright. And sometimes all they need, is for them to meet the right person who will give them the encouragement they need. In this case, it would be Buster Moon the Koala (Matthew McConaughey), the owner of a music theater. Leroy is like Buster Moon, small in size but full of ideas! It is a great show to bring the entire family to, especially now that it is holiday season. Definitely worth paying weekend prices! It got me humming along with the over 85 classic songs and my usually shy Stacci even got up and boogied at a certain part! 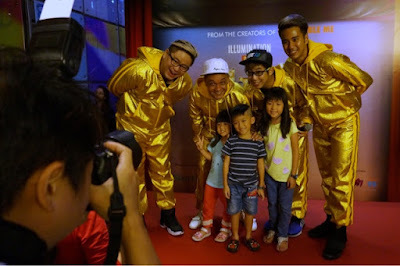 Thank you United Picture Singapore for having our family over for the gala premiere! Sing opens in Cinemas on 08 Dec 2016!